‘There was wonderful attendance at our dances,’ recalled Kay Brainard Hutchins who signed up for overseas work with the Red Cross after two of her brothers were reported missing in action in bombing operations over Europe. ‘We’d send out big trucks to pick up English girls and bring them to the club….. These factory girls loved the American GIs and they loved the jitterbugging.’ The dances were closely supervised and no girl was permitted to leave the dance hall. The men most appreciated the work of the Red Cross girls who lived on the base and tried to be, in Andy Rooney’s words, ‘a sort of remote combination of Rita Hayworth-and-your-best-friend’s-big-sister.’ They were the first to notify airmen of illnesses and deaths in their families, and they would surprise them with homemade cakes on their birthday. 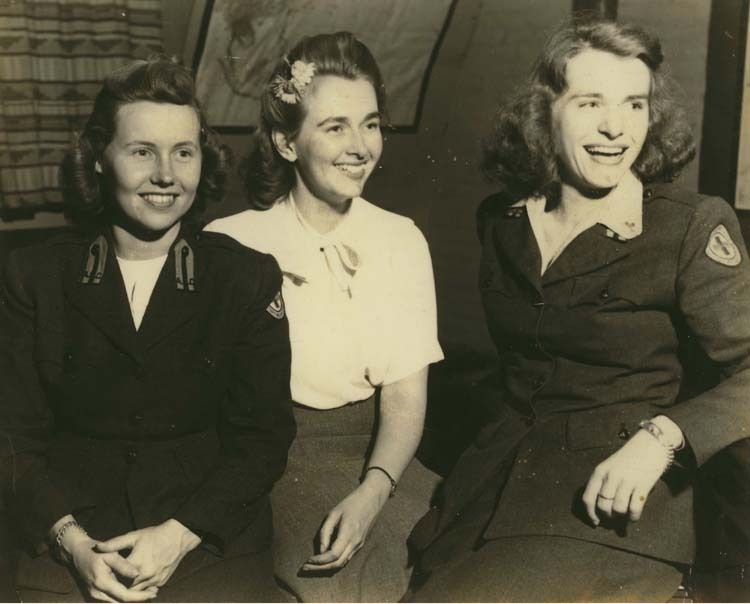 The Red Cross women were outside the briefing room on every mission day, serving coffee and donuts. They would be the last American women seen by many bomber boys.